To apply, drop us a line at jobs@listia.com with your resume and anything else you want us to know. Listia is a fast-growing startup tackling real-world problems using some cool technology. We want smart people who can make a big impact. If you like solving challenging problems, working hard while having fun, and want to see your effort make a real difference in people's lives... we definitely want to talk to you. 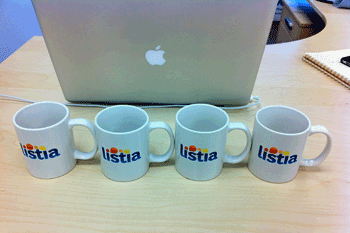 Want to become part of the core software development team at Listia? If you do, we're building it right now and this is your chance to become part of a team that is going to make Listia the next household name. We're looking for a smart developer who can show us what they're made of by pushing code and driving product. Ruby on rails experience is a big plus. Architect, design and implement features directly for our website. You will start from scratch for some features and add on to others that have already been implemented. You will own projects from start to finish. To apply, send email to jobs@listia.com with your resume and anything else you want us to know. Help us build beautiful mobile apps to complement our web experience and build out our local marketplace. We're looking for someone that lives and breathes mobile apps on either the iOS or Android platform. If you know both, even better! Architect, design and implement features directly for our mobile apps. You will start from scratch for some features and add on to others that have already been implemented. You will own projects from start to finish. Pave the path for our community and customer support initiatives and product roadmap. We're looking for an expert in customer support that can bring exceptional customer experiences to the community with today's leading edge tools! Define the overall community and customer care strategy for Listia. You will manage a team and also work directly with the product, engineering, and founding teams to delivery and operate our customer satisfaction initiatives. Help us get to the next level of customer satisfaction!